Custom Countertops Made by John Boos & Co. or by Butcher Block Co. Customized wood countertops from the two leading butcher block brands. John Boos & Co. made their very first butcher blocks in 1887 and remains the worldwide market leader to this day. In their Central-Illinois wood plant Boos makes an array of kitchen furniture and accessories, including custom counter and island tops in butcher block style. If you’re looking for a recognized brand-name, you’ll find none better than John Boos. They make residential counters in four different wood species: maple, walnut, cherry and oak; plus commercial and industrial-grade countertops in blended maple. All Boos wood counters come finished with either a coating of natural, food-safe oil or a varnish-like Varnique sealant. Custom countertops from Butcher Block Co. are made of the finest materials and handcrafted to exacting standards by Amish craftsmen in the U.S. Midwest. BBC counters might be just the ticket if you’re interested in a less common wood species or look; if you need an extra-large size or a particular thickness; or if a tight timeline requires speedier delivery. BBC offers an extraordinary array of species and styles, including plank-style countertops. Plank countertops feature wider wood rails (3 to 6 inches wide) and deliver a distinctive, expansive look. Finish options include natural oil, conversion varnish and unfinished. 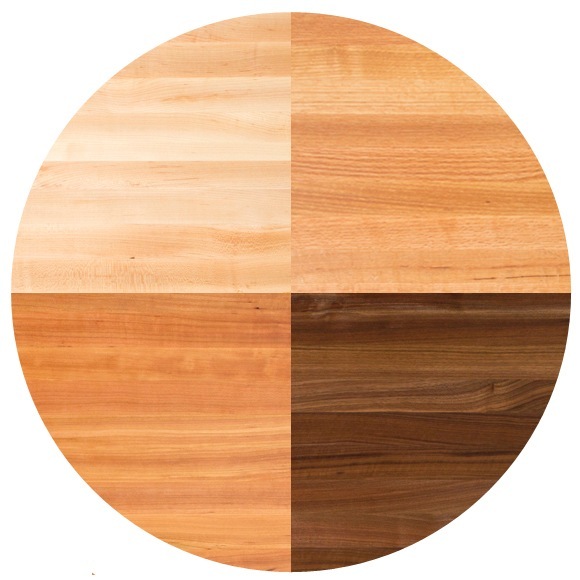 Clockwise from upper left: Maple is the most popular choice, thanks to its superior hardness and neutral color palette. Red Oak features light to medium browns, with a reddish cast. Walnut is loved for its rich, dark coloration. Cherry tops start out pale-pinkish, but patinate over time. Visit our Boos Photo Gallery. BB Co. also offers maple, red oak, walnut, and cherry, plus 11 other species and two quarter-sawn options (red and white oak). 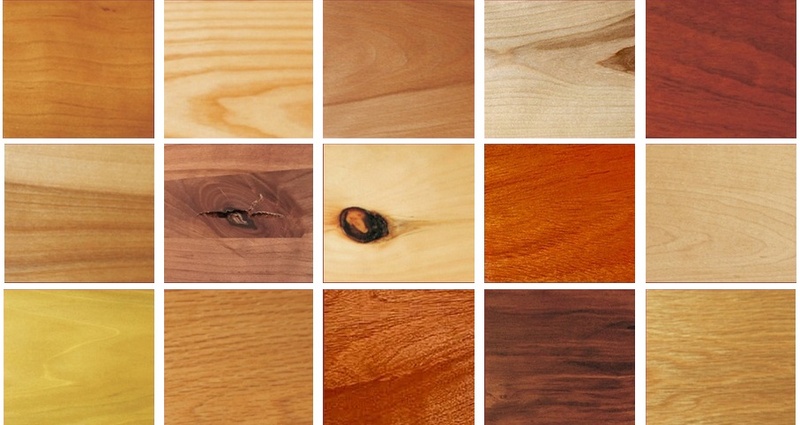 From upper left: Cherry, Ash, Beech, Birch, Brazilian Cherry...Hickory, Knotty Alder, Knotty Pine, Mahogany, Maple...Poplar, Red Oak, Spanish Cedar, Walnut and White Oak. Visit our BB Co. Photo Gallery. Boos makes butcher block in edge-grain, end-grain and blended-grain styles. Edge-grain blocks are known for their clean and simple look. End-grain tops resemble checkerboards; their fiber-rich surfaces are suitable for cutting upon. Blended blocks, aka finger-jointed edge-grain, incorporate more pieces of wood so deliver more visual variety in a patchwork-quilt-like look. 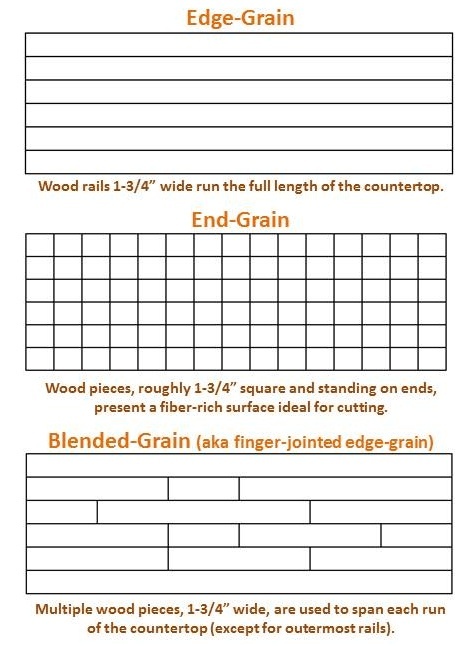 Learn more about butcher block grain styles. At BB Co. we use narrower planks than Boos in our edge-grain butcher block countertops (1" wide vs. 1-3/4" wide). Our end-grain countertops also differ from those made by Boos; we use non-square rectangular pieces. BB Co. plank-style countertops show off the source tree's fairly uniform and pleasing face or flat grain. 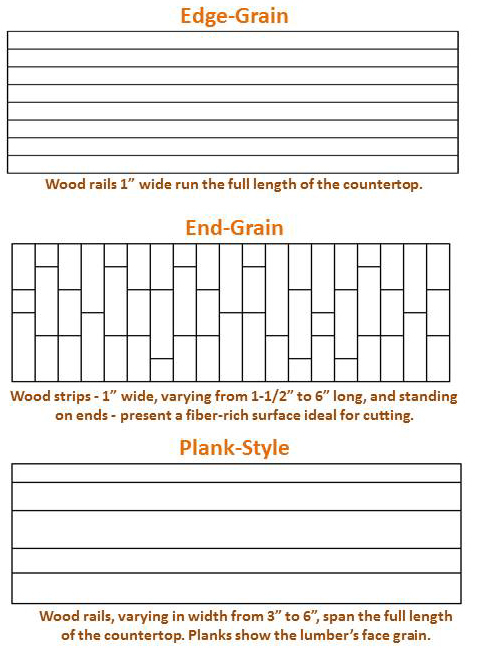 Planks vary in width from 3 to 6 inches. For a more rustic look, choose a hand-scraped finish for your BB Co. edge-grain or plank countertops. For your Boos countertops, you can specify one of two proprietary finishes: natural, food-safe oil; or a varnish-like sealant called Boos Varnique. If you plan to cut directly on your countertop, you should select a finish of natural oil, which notably, MUST be re-applied every month or so. Also, you will need to clean up spills quickly. Varnique provides a semi-gloss, fine-furniture look; requires little maintenance; and is easy to clean. Notably though, you should not cut directly upon Varnique-finished wood, as this might harm the protective barrier. Instead, use a cutting board. You can order countertops unfinished, if you wish to finish them yourself. Your other choices are natural oil or conversion varnish. If you plan to cut directly on your countertop, you should select the natural oil finish. Note that you will need to re-apply oil to your countertop about once a month in order to protect and preserve it. In contrast, a finish of conversion varnish, which provides a semi-gloss look, requires little maintenance. However, you should not cut directly on a varnished surface, since cuts in the protective coating can leave the wood beneath vulnerable. Boos' standard (default) edging is "slightly eased," to remove sharpness on the top corner. 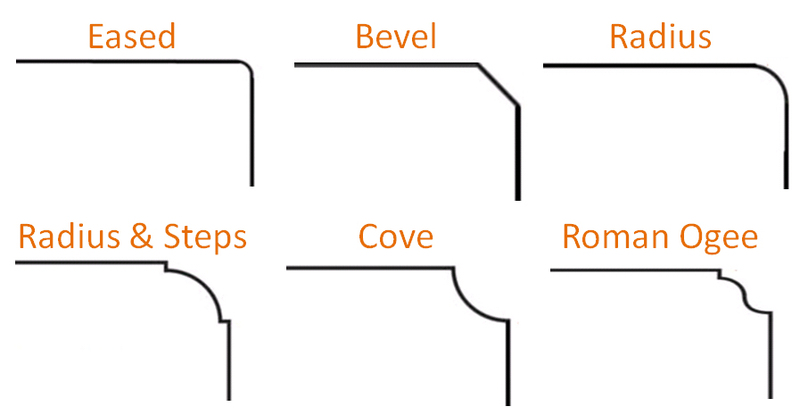 Depending on which species and grain style you select, you might have the option to choose one of these six classic edge styles: Radius-top or top & bottom; Bevel-top or top & bottom; Roman Ogee or full Bullnose. Note that the edge style on end-grain counters is dictated. It is 1/4" radius, top only. The standard (default) edge style on BB Co. countertops is "square and sanded lightly." Eased edges (1/8 inch radius) feature smoother, rounded top corners. Radiused edges are even more rounded. In contrast, Beveled edges are distinctly angular. 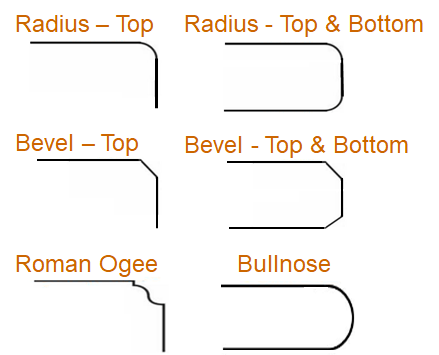 Three other edging options provide fancier, differentiated looks. Two feature convex top corners: the Radius & Steps and Roman Ogee designs. Coved edges are concave. For a summary of features by brand, check out this side-by-side comparison. You can generate price quotes on either custom countertop brand in a matter of seconds. The process is simple and straightforward and allows you to compare prices across brands, wood types, grain styles and thicknesses. 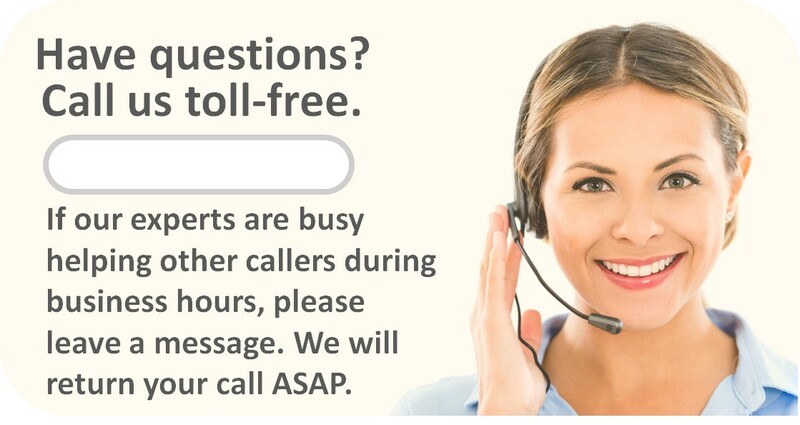 If you require mitered cuts in your kitchen counters or cutouts for appliances or sinks, please call for a more thorough assessment of your needs.